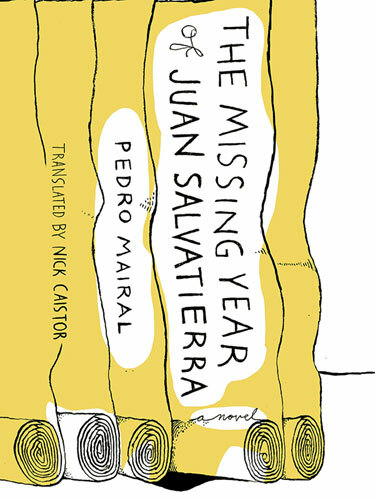 Pedro Mairal’s The Missing Year of Juan Salvatierra combines superb storytelling with the type of narrative that, despite the lack of supernatural elements, seems to have one foot set in magical realism. With a prose that’s simple but very beautiful, Mairal crafted a short novel full of vivid descriptions, raw emotion, and enough brilliant passages to be considered a celebration of language. When Juan Salvatierra was nine years old, he was bucked from a horse and dragged through the woods because his foot got caught. The accident left him mute. At the age of 20, he discovered a new way of expressing himself and began secretly painting a series of long rolls of canvas. His paintings, which he kept working on for six decades until the day before he died, chronicled his life in Barrancales, a village on Argentina’s river frontier with Uruguay. After Salvatierra’s death, his two sons, Luis and Miguel, return to Barrancales from Buenos Aires to deal with the paintings and the shed in which their father worked and kept the painted rolls. While examining the canvases, which stretch for over two miles in length, the brothers realize a year is missing. They both want to find it, but for Miguel, it becomes an obsession. What happened that year? How much of what he remembers has to do with the missing roll? What secrets are painted there? As he tries to solve the mystery of the missing canvas, Miguel will learn the impact his father’s paintings had on everyone and just how thing the line between art and life can be. Enigmatic as it is immersing, this book feels longer than it is because it gives the sense of covering an entire lifetime and offers closure, twice. Also, there are a plethora of elements that come together to enrich the narrative: tension, love, secrecy, jealousy, anger, passion, frustration, and determination are only a few of the ingredient Mairal used to concoct his tale, and putting them together resulted in a book that deserves to be read. Mairal’s poetic flashes, fascination with memory, knack for imagery, ekphrastic prose, and attention to detail make The Missing Year of Juan Salvatierra great, but they are in this translated version thanks to Nick Caistor, an award-winning translator who deserves recognition for this tome. Also, this was my first book from New Vessel Press, a relatively new independent publishing house that specializes in the translation of foreign literature into English. If this one was any indication of the quality of work they put out, it certainly won’t be the last book by them that I read. Gabino Iglesias is writer, journalist, and book reviewer living in Austin, TX. He’s the author of Gutmouth and a few other things no one will ever read. You can find him on Twitter at @Gabino_Iglesias.